In this series, we follow the lives of five Girl Project girls–at home and abroad–as they go through one school year. 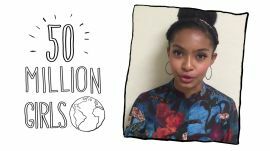 What do a young female filmmaker from Brooklyn and a high school student from Kansas have in common? More than you would think. Glamour’s philanthropic initiative, The Girl Project, sent director Sabaah Folayan to meet Kylee, a high school senior who has struggled through poverty, bullying, and emotional trauma—but with the help of Girl Project partner Communities in Schools, she has found the courage to stay in school and graduate. If you’re a poor girl in rural Malawi, an education is your best bet for a ticket out of poverty—but it’s also a tragically difficult thing to obtain. Glamour’s philanthropic initiative, The Girl Project, sent filmmaker Idil Ibrahim to Malawi to meet Jenifer, who lost both of her parents at a young age. She’s determined to defy the odds and finish school with the help of Girl Project partner CARE. Sometimes, the difference between a good school and a not-so-good school means growing up to be a software engineer instead of spending your life in a rock quarry. The Girl Project, Glamour’s philanthropic initiative, sent director Elizabeth Lo to India to meet Keerthi, whose life changed when she was accepted into a special boarding school with the help of Girl Project partner She's the First. In Brazil, traveling to school can mean risking your life. 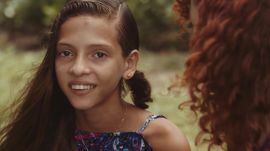 For the fourth episode of Get Schooled, The Girl Project sent filmmaker Alexandra Roxo to crime-ridden Brazil to meet Karine, a brave 15-year-old who refuses to stay home, despite the danger. She’s supported by Girl Project partner Plan International.